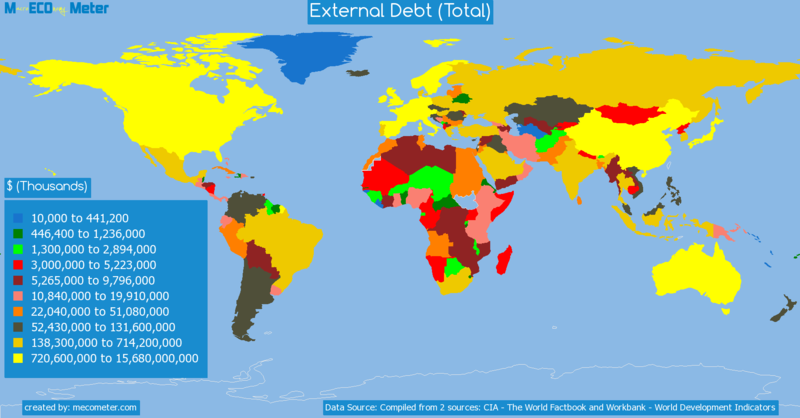 Value & RankThe External Debt (Total) of Hong Kong SAR, China is 1.16 ( trillions of $) with a global rank of 16. 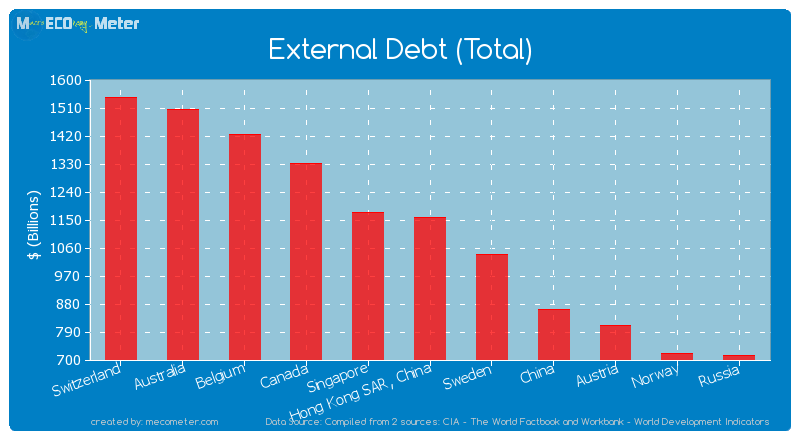 Hong Kong SAR, China compared to other CountriesThe External Debt (Total) of Hong Kong SAR, China is similar to that of Switzerland, Australia, Belgium, Canada, Singapore, Sweden, China, Austria, Norway, Russia with a respective External Debt (Total) of 1.54, 1.51, 1.42, 1.33, 1.17, 1.04, 0.86, 0.81, 0.72, 0.71 ( trillions of $) and a global rank of 11, 12, 13, 14, 15, 17, 18, 19, 20, 21.11 years growthHong Kong SAR, China's External Debt (Total) had a positive growth of 2,241 (%) in the last 11 years from (2002 to 2013). 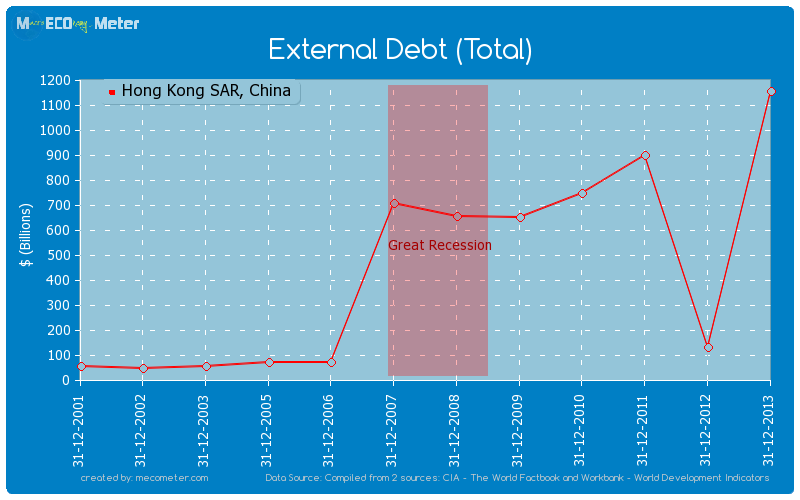 Last 11 years averageHong Kong SAR, China had an average External Debt (Total) of 475 ( billions of $) in the last 11 years from (2002 to 2013).